Tonight at The Independent in San Francisco: Japandroids with Cadence Weapon charged with opening act duties. Vancouver’s Japandroids are riding high off the heels of its second full length album, Celebration Rock, which saw release earlier this spring. Comprised of Brian King and David Prowse, Japandroid’s sound can immediately identified as garage rock, but its subtle hints of pop-music sensibilities is what really hooks you in. Tracks like “Continuous Thunder” and “Fire’s Highway”, both off of Celebration Rock, are two such songs that come to mind right away. 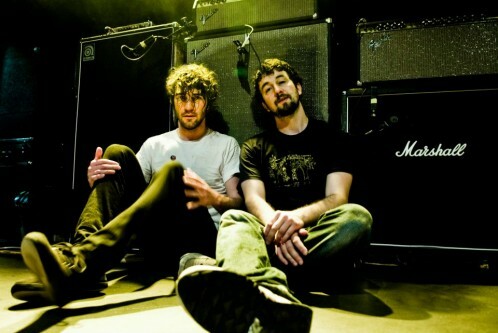 In between its two full length albums, Japandroids focused on releasing new songs as singles while still on tour. Photo courtesy of Maoya Bassiouni. Back when its debut album, Post-Nothing, was released, Japandroids was in fact on the brink of extinction. Prowse and King were dead-set on splitting up after releasing the album because both felt they weren’t getting anywhere as a band. But a “Best New Music” nod by Pitchfork for the track “Young Hearts Spark Fire,” gave the band the boost that it needed. Rapper Cadence Weapon, aka Rollie Pemberton, hails from Edmonton, Alberta, Canada. The son of Teddy Pemberton, a DJ for radio station CJSR-FM, Cadence Weapon started rapping at 13 years old. To say that music is in his blood is obviously stating the obvious. Obviously. Cadence Weapon at one point studied journalism, and wrote for Pitchfork. (By the way, he did not write that Japandroids recommendation, in case that’s what you were thinking) Yet, the call to get into the music game was too strong for him to ignore, so he started producing music full time instead of just writing about it. 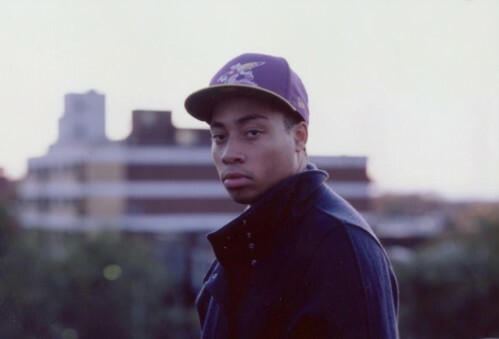 In 2005, Cadence Weapon released his mixtape “Cadence Weapon is the Black Hand,” and quickly followed that up with his debut LP Breaking Kayfabe a few months later. Influenced just as much by house music as he is by hip-hop, Cadence Weapon’s sound is what you get when you mash whip-smart lyrics with a smooth flow, and juxtapose it with heavy synth and electro beats. It’s not hard to find electro in hip-hop these days, but there is something deftly unique about what Cadence Weapon is all about. If you’re going to The Independent tonight, get there early and find out for yourself. After tonight, Japandroids and Cadence Weapon continue on toward Los Angeles, San Diego, Denver, Chicago and Cleveland before hitting up the East Coast and Canada. By the way, tonight’s show at The Independent is sold out. But when has a minor detail like that ever stopped any determined lover of good live music?